Note: If you’re a Québec resident, you’ll need to complete Schedule Q: Retirement Income Transferred to Your Spouse. This form is combined with the fields of the federal T1032 in the Splitting your pension income section of your return in H&R Block’s tax software. What type of pension income can I split? Click this link to learn more about eligible pension income. If you’re a resident of Québec, you and your spouse might decide to include a portion of your retirement income in the calculation of your spouse’s income. When doing so, you must also transfer the corresponding Québec income tax (including the health contribution) that was withheld from that income. How much pension income can I split? You can split up to 50% of your eligible pension income with your spouse. To do this, both you and your spouse must complete and file this form using the same information. You should also keep in mind that you can only file one joint election for the tax year, so you’ll need to decide whose pension income you’ll split. Don’t worry, you can always change the spouse whose pension income you’ll split and the percentage of the split next year. Once you’ve decided whose pension income you’ll split and the amount to split, you will need to also allocate the tax that was deducted from your pension income to your spouse in the same proportion as the pension. Fortunately, H&R Block's tax software automatically splits your eligible pension income and the total tax you enter in the Splitting your pension income section of your return at 50%, unless otherwise stated. Let’s say you and your spouse are preparing your returns together and your total income for 2017 is $70,000, of which $30,000 was eligible pension income. Your spouse didn’t get any pension income in 2017 but had a total income of $10,000. You can split up to $15,000 (50% of $30,000) of your pension income with your spouse in the Splitting your pension income section of your return. Your T4A slip (box 22) shows that $5,000 was deducted in income tax from your pension income. This amount will also need to be deducted in the same proportion as the pension split – 50% in this case. 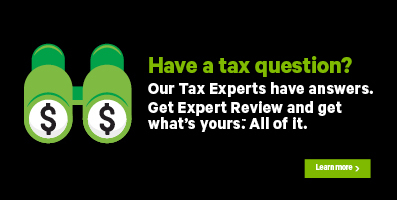 In H&R Block's tax software, you'll only need to enter the total tax that was deducted from your pension income and it will automatically split it at 50%. If you want to only split $10,000 (33% of $30,000) of your pension income with your spouse, enter that amount in the designated field of the Splitting your pension income section. The tax software will automatically split the total tax you entered on the page in the same proportion. Before making a joint election to split pension income, make sure you and your spouse are preparing your returns together. On the Your 2017 income page, scroll down to the Splitting your pension income section and enter your information into the tax software. This amount is your total pension income. Subtract the following from your total pension income. The amount calculated is your eligible pension income (line A of your T1032). If you're the pension transferee, enter this amount in the designated field on the Your 2017 income page. Where can I find the total tax that was deducted from my pension income?